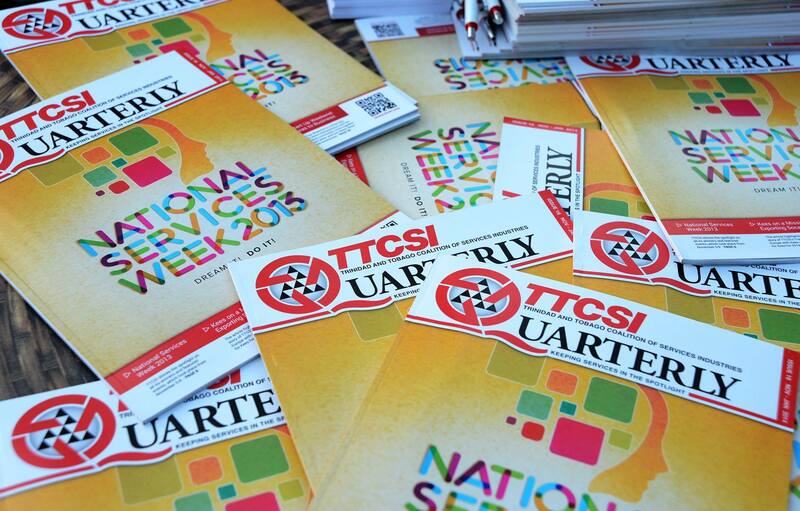 TTCSI is a national umbrella body that brings together all services sector organizations and associations. Basically it is an alliance of professional services associations and organizations. It will function as a focal point to lobby; channel and address trade in services issues and services development issues, which are critical for the sector to thrive in the competitive global environment. TTCSI is also the local institution responsible for issuing the CERTIFICATE OF REGISTRATION AS A CARICOM SERVICE PROVIDER in Trinidad and Tobago. How will the TTCSI help the Services Sector? The Services Sector is the largest sector in the Trinidad and Tobago economy, contributing annually on average $TT 43 billion ($US 6.8 billion) to Gross Domestic Product (GDP) accounting for over 60 percent of GDP during 2001-2005. The services sector is diverse covering business services (professional, computer etc), construction, transport, communications, financial services, tourism/travel, government operations among others and employs an average of 80 percent of the labour force, some 422,000 persons. Services have also been a net contributor to the balance of payments. Why is the TTCSI important? The development of the services sector is an important element of Government’s overall drive to develop the non-energy sector. The TTCSI will serve to assist in trade negotiations and to strengthen the local private sector to face the challenges and opportunities arising from decisions taken at the WTO, the CSME and other trading arrangements. You are a service exporter if a non-resident customer pays you for your services regardless of where the service is provided. How will TTCSI benefit the services exporter? TTCSI’s membership is comprised of Associations and not individuals. However services exporters can take advantage of the full range of benefits TTCSI offers by joining their relevant professional Associations, which are members of TTCSI. Additionally, services exporters requiring a CERTIFICATE OF REGISTRATION AS A CARICOM SERVICE PROVIDER may apply to TTCSI for the Certificate. This document is a requirement for certain categories of workers and other professionals to work in CARICOM Territories, outside their national community. Services coalitions are recent phenomena, the first being formed in the 1980′s to ensure that concerns of services firms were well represented in the Uruguay Round of the WTO. “Our organization, the Uganda Services Exporters’ Association, is small, and the size of our members is even smaller… through the Private Sector Foundation, Ugandan services firms, even small ones [have been able] to contribute to Uganda’s negotiating proposals. It has also served as a basis to select private sector representatives to a number of WTO and regional negotiation forums.” George Walusimbi-Mpanga, Uganda Services Exporters’ Association as reported in International Trade Forum – Issue 1/2006.